An artist’s response to success can be just as interesting as their response to failure. 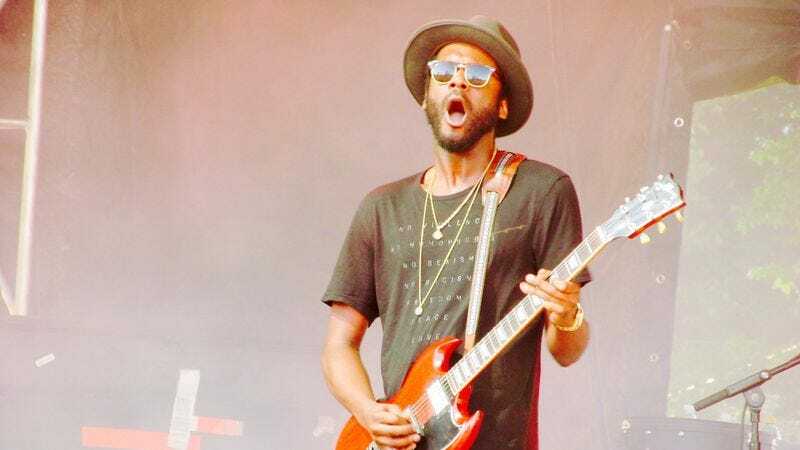 In the wake of his major-label debut in 2012, Blak And Blu, Austin-based singer-guitarist Gary Clark Jr. was elevated to some of the biggest heights in music. He jammed with the Rolling Stones on multiple occasions and won a Grammy for Best Traditional R&B Performance. Publications the world over ran adoring profiles, some even going so far as to proclaim him “the chosen one.” How does an artist respond to that? For Clark, the answer was apparently to head on home and lock the door. 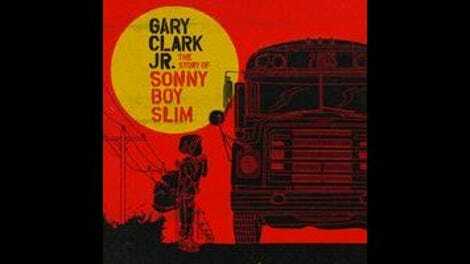 In order to create The Story Of Sonny Boy Slim, the guitar wizard retreated to Arlyn Studios in Austin and spent a year piecing together the different sonic and thematic elements that would become his next statement. He also abstained from employing an outside producer, resulting in an album that is fully Clark’s vision, unfiltered and untouched. The Story Of Sonny Boy Slim is not the updated blues record that his boosters might have desired. While there are more than a fair share of blues-based elements, especially in Clark’s fantastic guitar solos, the overall sound is far more informed by ’70s funk and soul. From the twinkling organ on “Our Love” to the spanky guitar and motivated horn section on “Cold Blooded,” it’s clear that Clark is singularly interested in pushing his sound into newer, more personally gratifying and contemporary directions. The closest Clark comes to fulfilling the visions others likely have for him—those who see him as their savior of blues-rock—arrives with the second song, “Grinder.” It’s a heavy, riff-driven rocker that finds the guitarist turning up the distortion and clamping his foot down heavily on the wah pedal. It’s a perfectly fine song, but when stacked against the rest of the album, it feels like a return to the past for the mere sake of placating part of the audience. Weirdly, the greatest moment comes when Clark marries many of those classic R&B elements with a previously unrecognized psychedelic side on the sprawling closer, “Down To Ride.” It’s a synth-driven exercise in heavy atmospherics, accented by shimmering guitars and loaded with overt, somewhat ridiculous transportation-themed metaphors. It’s the kind of song that you want to crank up to the limit while blasting down the road with the windows open on a lonely stretch of highway when the stars are visible. Kevin Parker of Tame Impala would approve.